Best Italian Antipasto Salad: It’s simply the best antipasto chopped salad – from central Pennsylvania! Don’t fill up on the first course but mamma mia! Click HERE for many more scrumptious Italian appetizers. 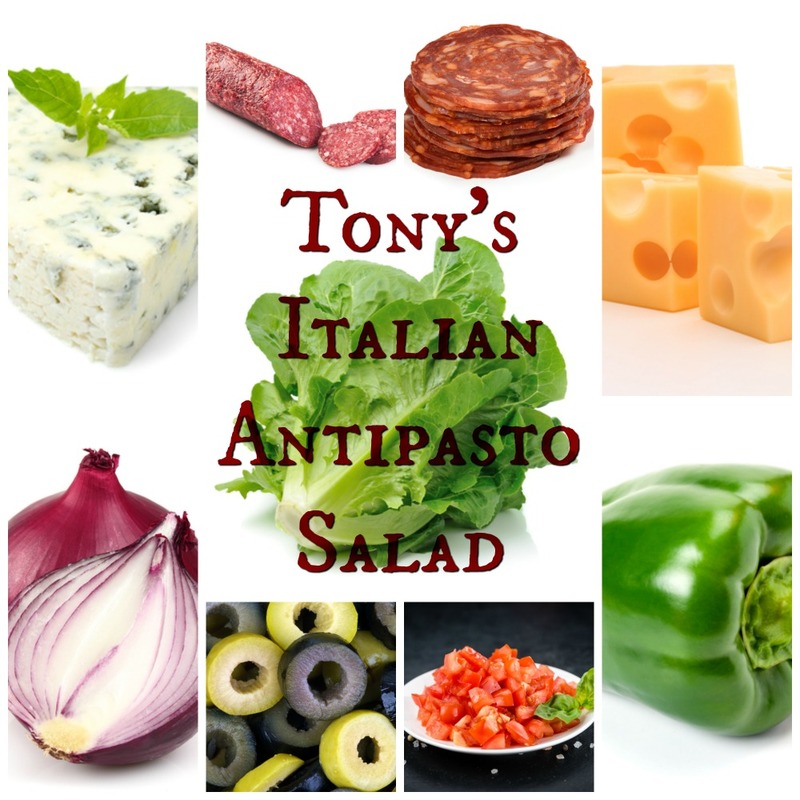 Tony’s Salad Recipe: The Best Antipasto Salad Ever! Nestled in between the rocky mountain faces of the Appalachians and the Juniata River, stood a simple Italian restaurant along the side of the road. Locally, it was renowned as the best place for monster meatballs with spaghetti and garlic bread. But it also had a well deserved reputation for an amazing antipasto salad. Let me tell you about Tony’s Cottage Inn. Before there was a bypass to Happy Valley, Pennsylvania, one of the few watering holes along Route 22 that Nittany Lions (and everyone in between) could stop for a bite to eat was a tiny little restaurant perched on the rocks above the Juniata River. The road to State College and Penn State is a road well traveled during football season. For years, Tony’s was an unremarkable two-story brick building just off the fork in Route 22. When my brother and I were little, we would visit our paternal grandfather in Lewistown, Pennsylvania. Every time we went there, dinner would usually consist of two things – Kentucky Fried Chicken and the antipasto salad from Tony’s. Our Best Italian Antipasto Salad – It’s Like No Other! For the most intense flavors, be sure to buy all the ingredients fresh at the deli counter. Mom buys 1/2 inch thick slices of the Genoa salami and pepperoni cut directly from the entire salami. On a special diet? Click HERE to calculate the sodium content of foods. In a medium bowl or an immersion blender beaker, prepare a basic vinaigrette salad dressing using coarse sea salt, freshly cracked pepper, robust olive oil and red wine vinegar. Instead of shallots, use crushed fresh garlic to taste. No need to add shallots or onions to the dressing – you are adding diced red onions to the salad fixings. Instead of tarragon, use fresh Italian herbs such as basil and oregano. To kick it up several notches, add a couple inches of anchovy paste to the dressing. I’ve never had anyone in this clan question that special flavor. It just makes it taste totally authentic. If you are brave and the troops are willing, chop regular anchovies into tiny bits and mix in with the meats and veggies. Know what? Just add the anchovy paste and keep it a secret. Somehow, bits of anchovy are unacceptable while the flavor alone makes it “special”. Parsley is always part of this equation but switch to flat leaf Italian parsley. I firmly believe that parsley (the right kind) adds to the flavor quotient. Although parsley is often used for decorative purposes, each type of parsley has a distinct flavor. Place the chopped salad ingredients in a large serving bowl then drizzled with the Antipasto Vinaigrette dressing and tossed to coat evenly. Set aside. Just before serving, the mix is tossed with the romaine lettuce pieces – just enough to coat the lettuce with the dressing already on the “fixings”. I don’t know if it was the dressing or the combination of toppings, but I have yet to find another chopped salad that even comes close to comparing. Except our version of course. This is it! The salad is the reason I love blue cheese and chopped salads. The only thing we all skip, except for my aunt and brother, are the anchovies (yuck!). Mom, on the other hand, passes her dish around to collect all the little salty fish bits. 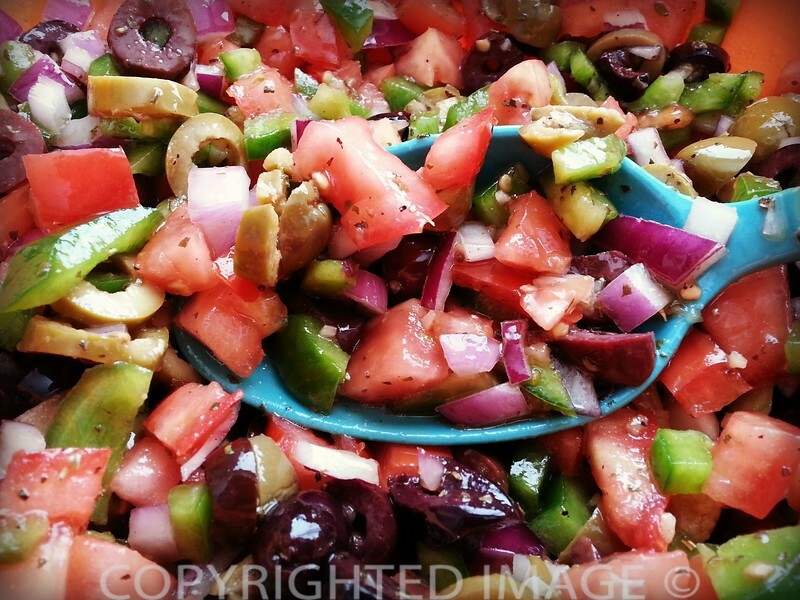 She loves the authentic version of the best Antipasto Chopped Salad, anchovies included! 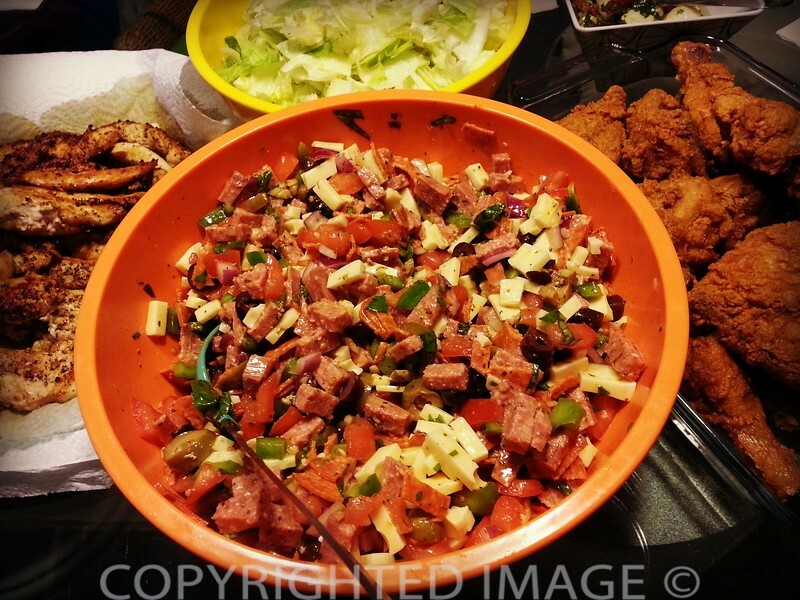 1 Tony’s Salad Recipe: The Best Antipasto Salad Ever! 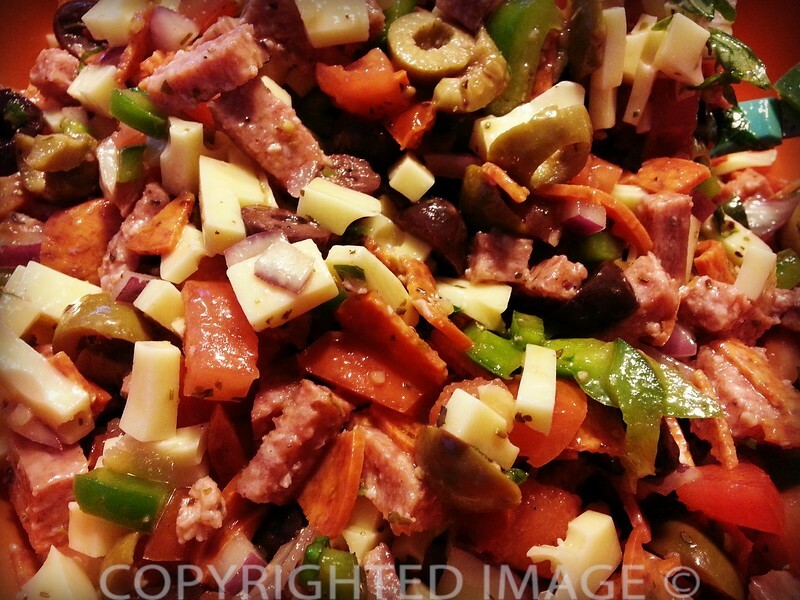 2 Our Best Italian Antipasto Salad – It’s Like No Other! Two words. Oh, yum! Then again, two words are never enough when it comes to Italian food!Having married into an Italian family I had no idea that food is almost a religion and something to be revered. Love the ingredients in this salad (everything but the anchovies, that is. My adult son loves them and would eat them with gusto). Oh, and parsley…love the flat leaf Italian kind (is there any other?). 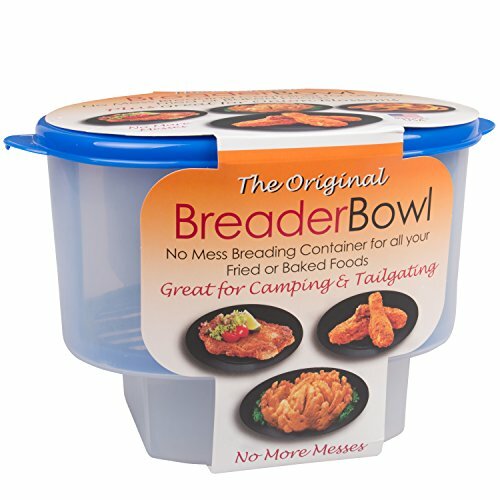 Made my mouth water reading about this dish! Thank you.